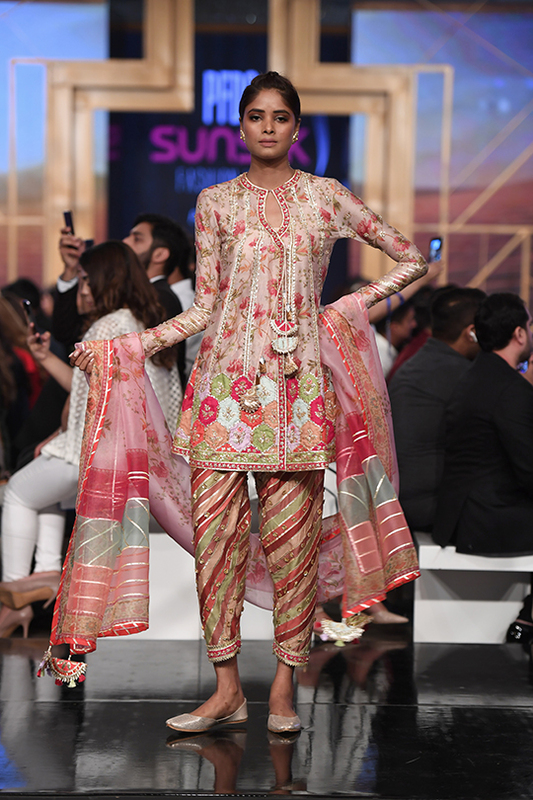 Their new spring summer evening wear line had everyone swooning. 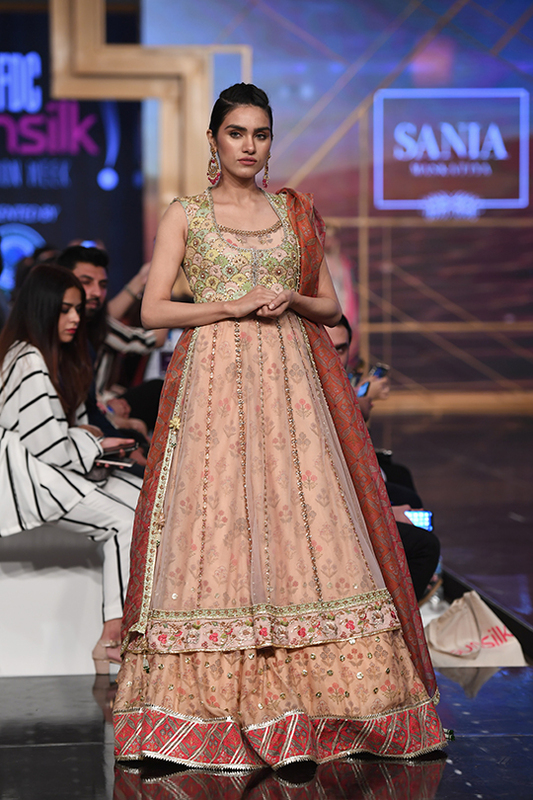 The signature Sania Maskatiya embroideries must have done the trick! 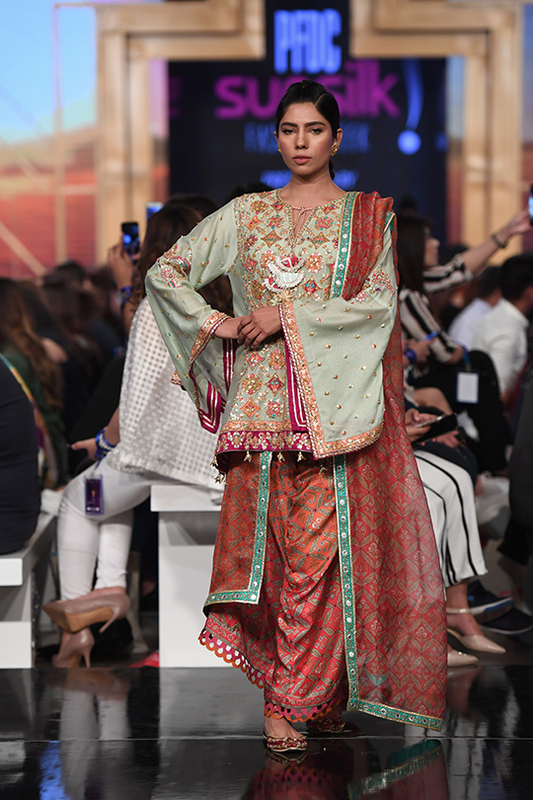 The elegance and mystique of the ancient East heavily embraced the collection along with an implemented vibrancy and aesthetic that spoke to today’s time. 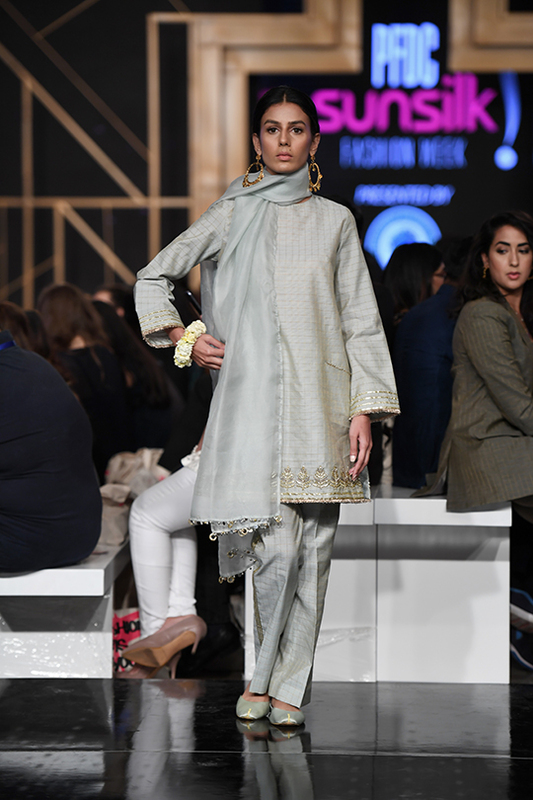 From subtle pastels to bold jewel shades right down to the neoclassical silhouettes, every piece made it to someone’s wish lists! 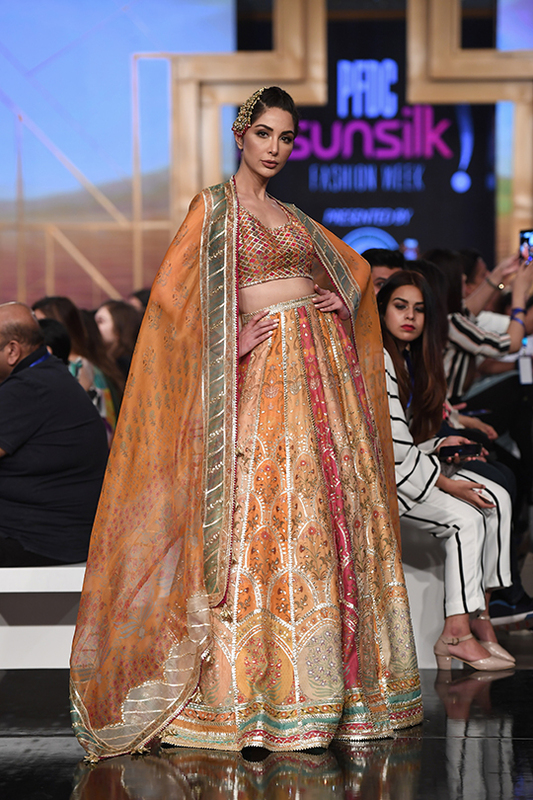 Their lehenga choli’s were definitely a win for us! 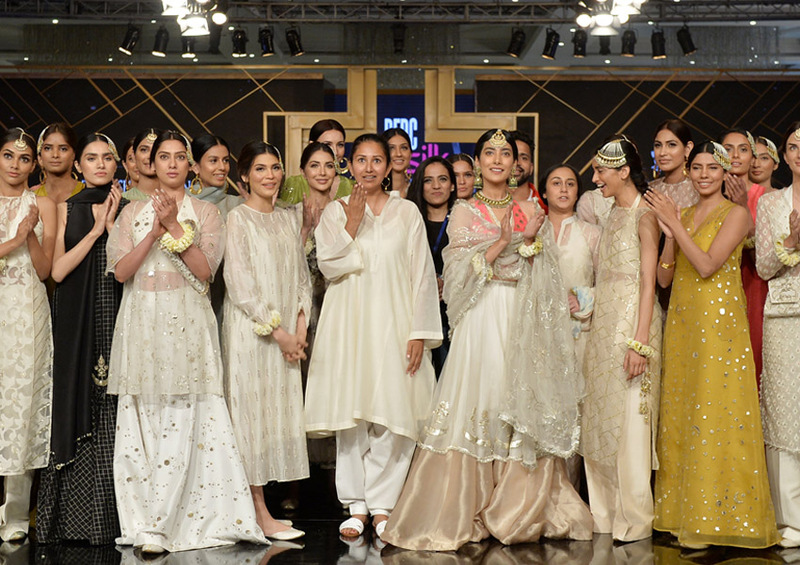 This years PFDC was one for the ages. 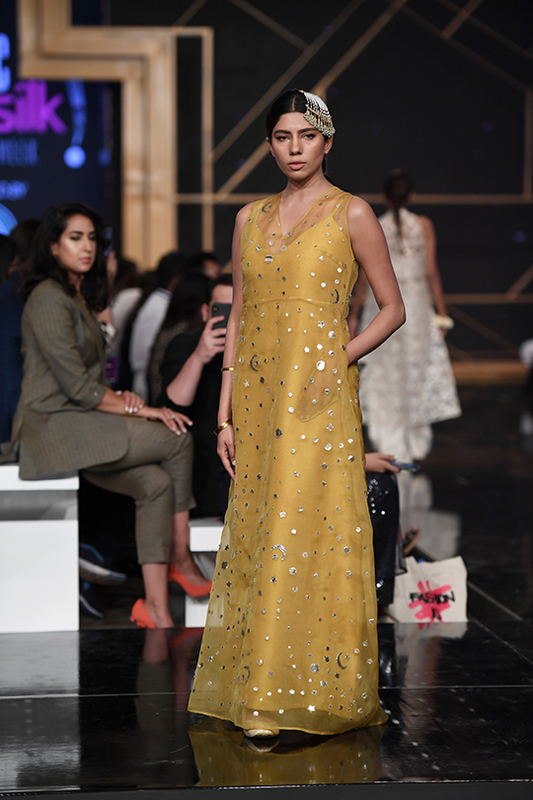 Celebrating 20 years of showcasing the best of the best in fashion and allowing aspiring designers to grow towards becoming the front runners in fashion. 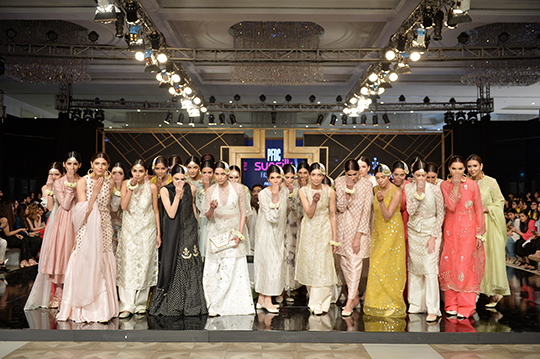 Day 1 ushered in glittering names from the industry. 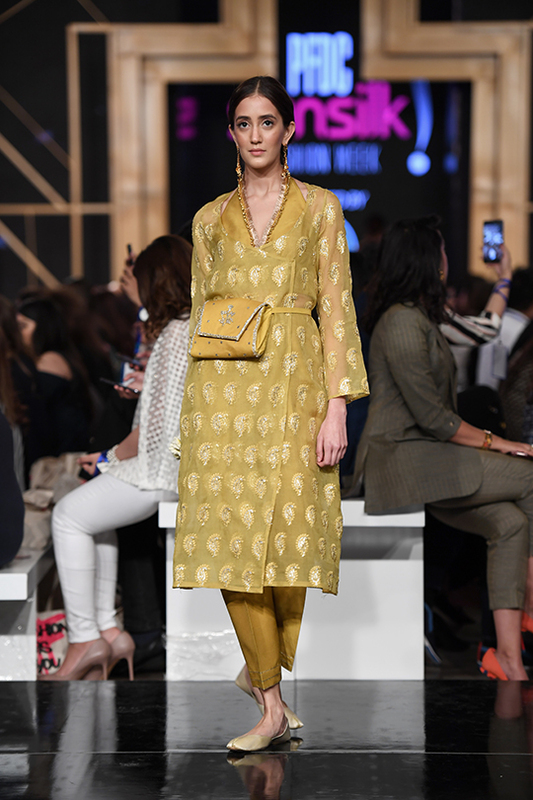 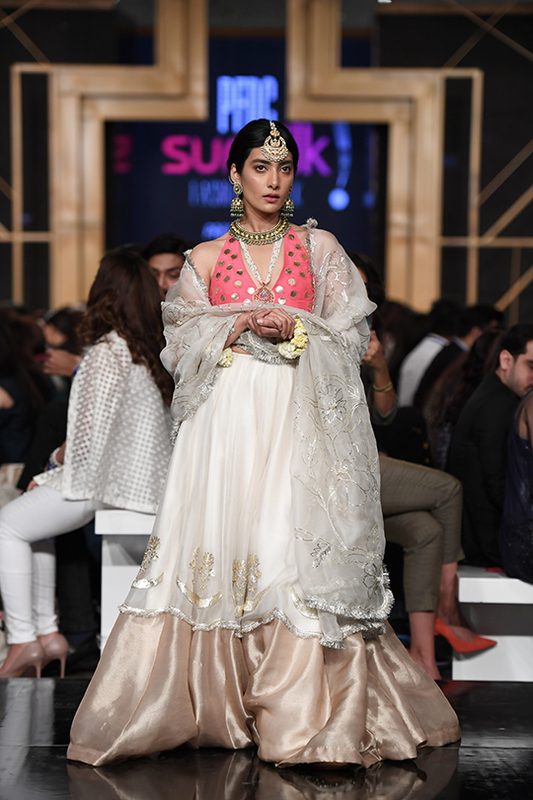 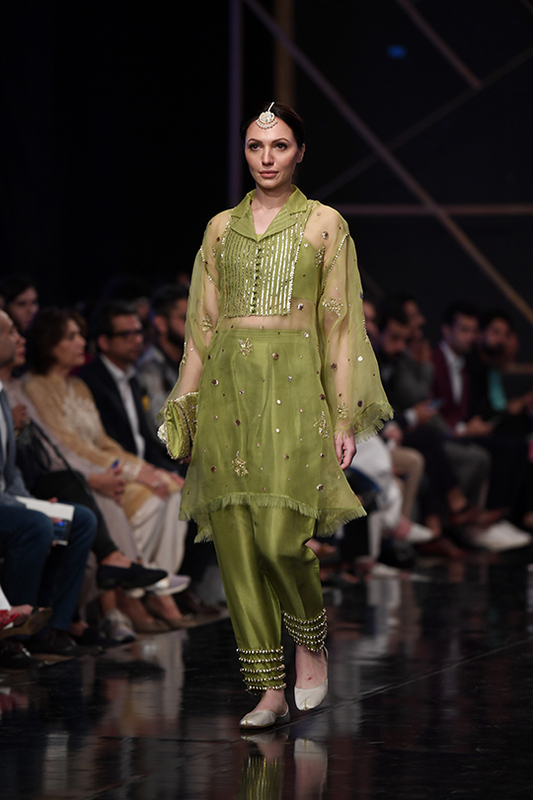 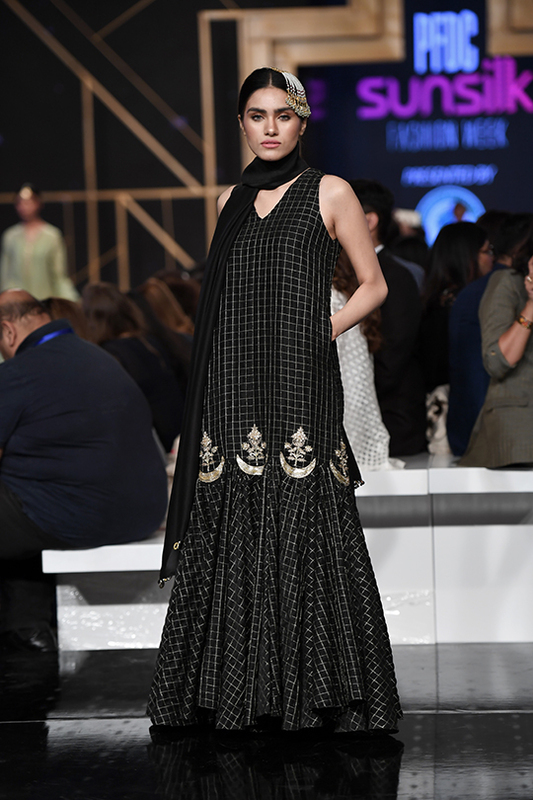 Zara Shahjahan opened the show with yet another poignant collection, which was an ode to Laknavi women. 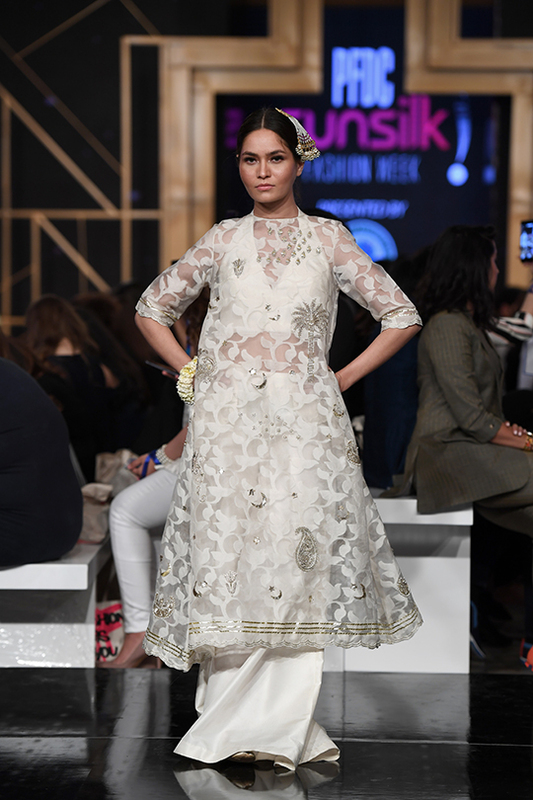 Sania Maskatiya brought Isfahan and swooned the audience. 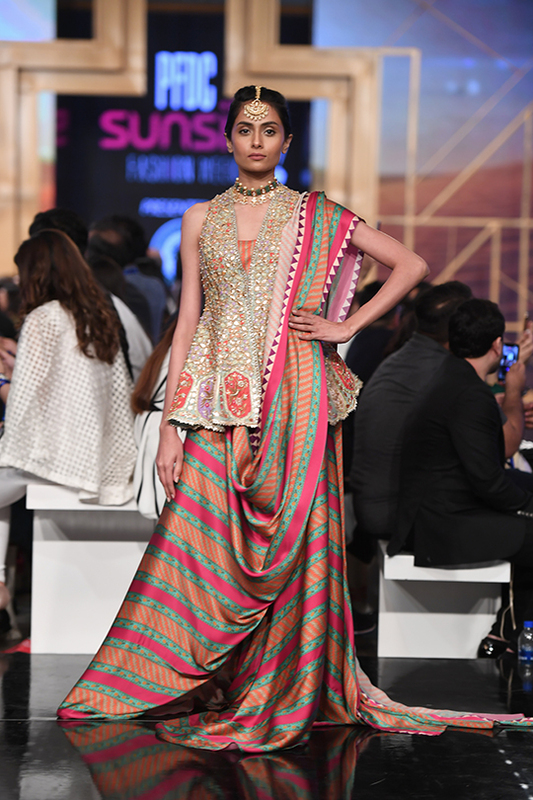 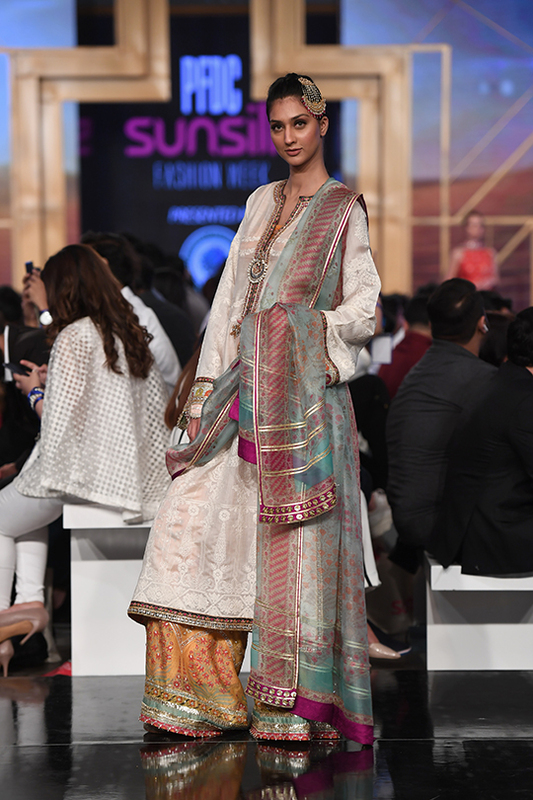 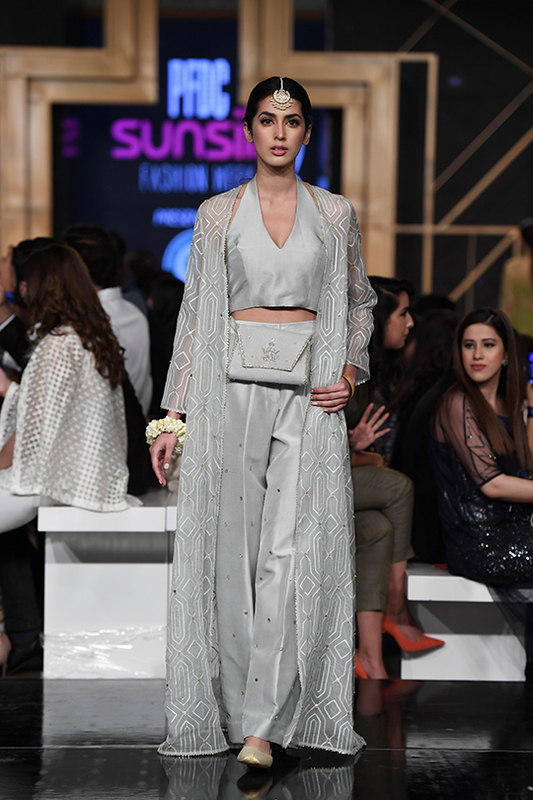 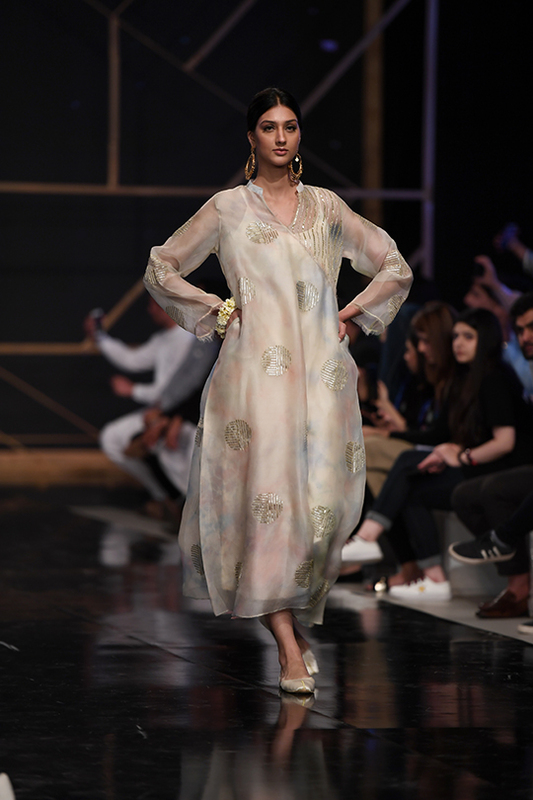 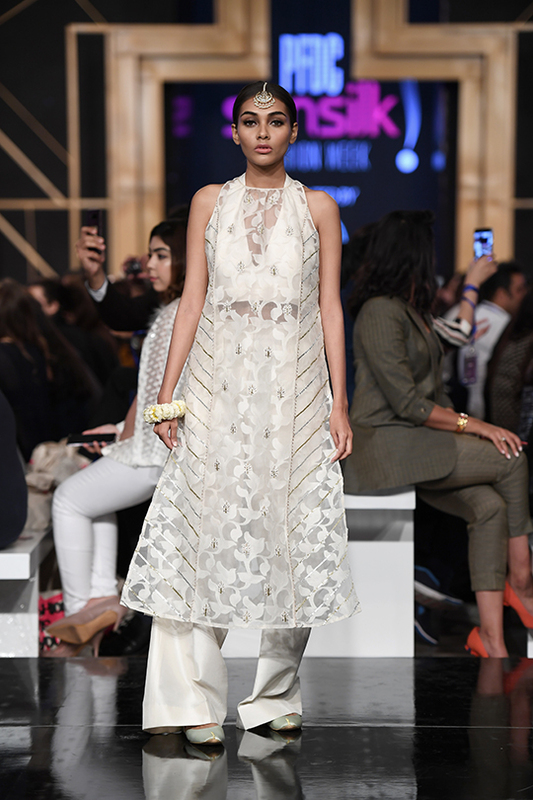 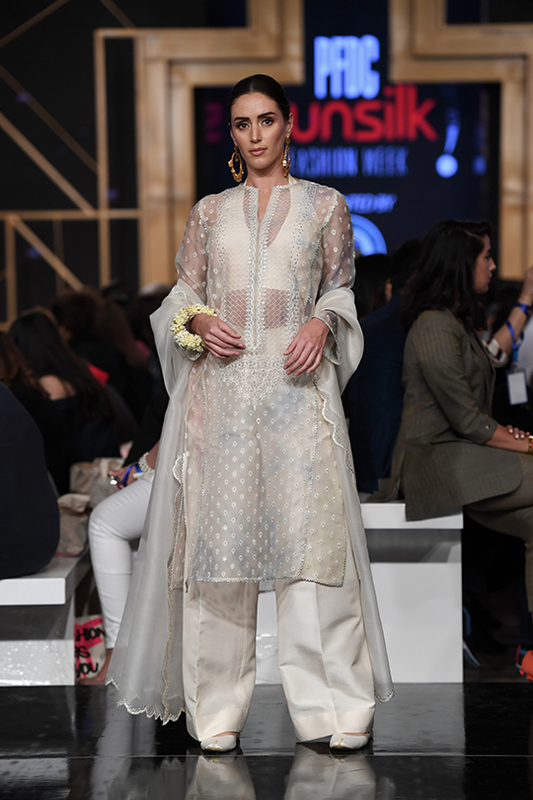 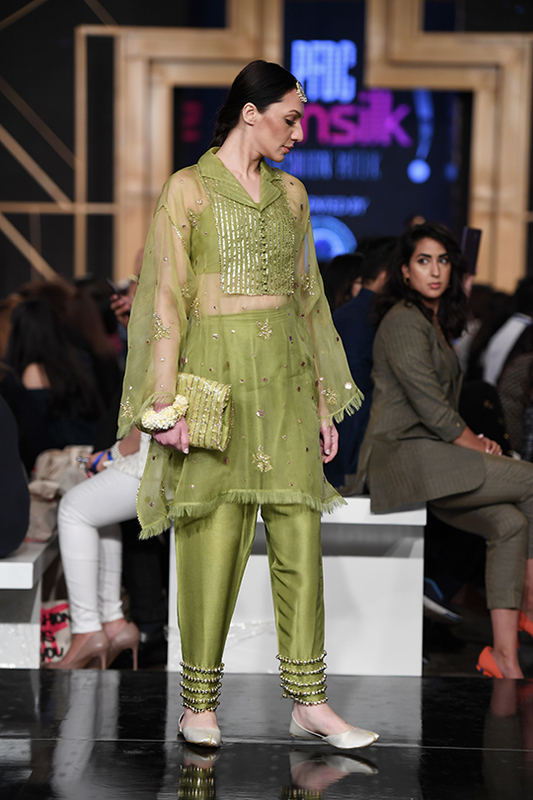 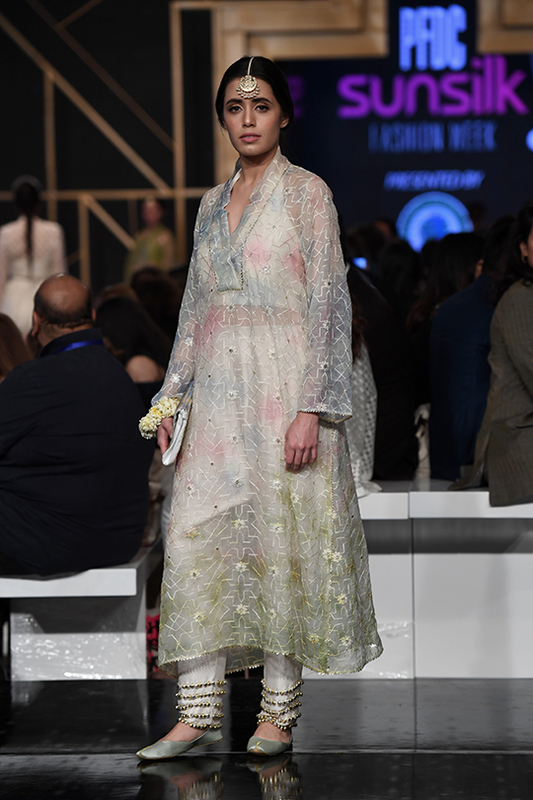 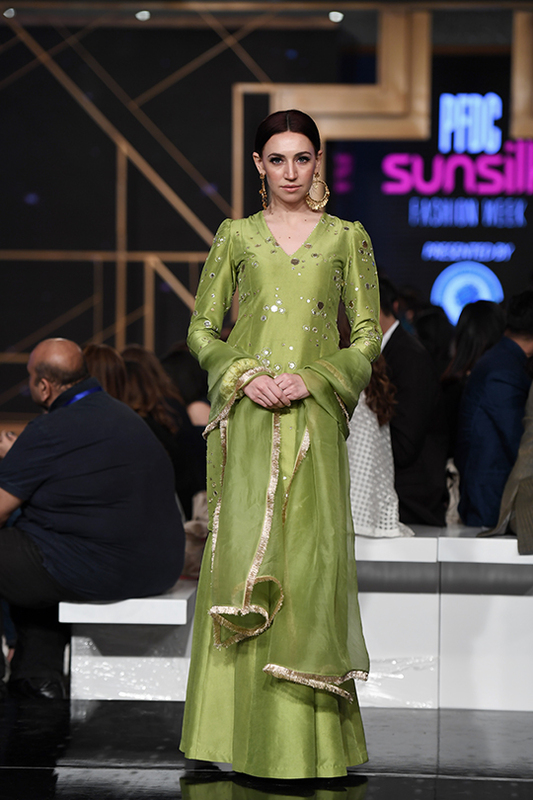 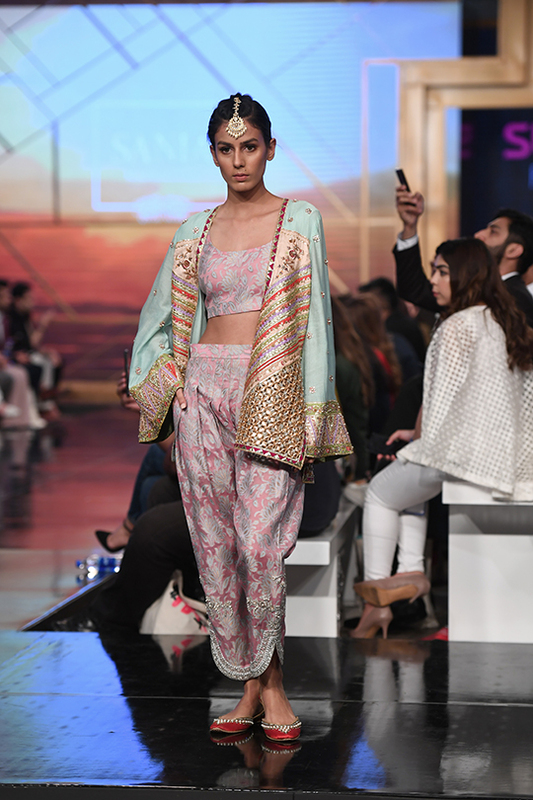 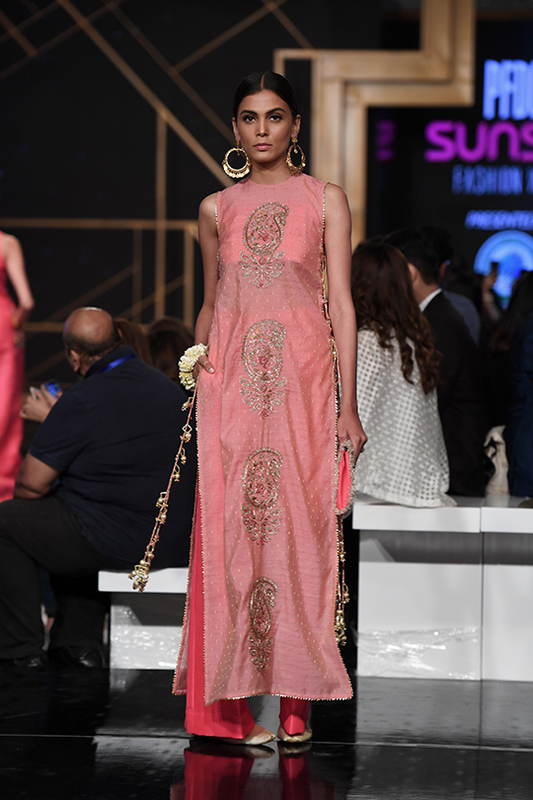 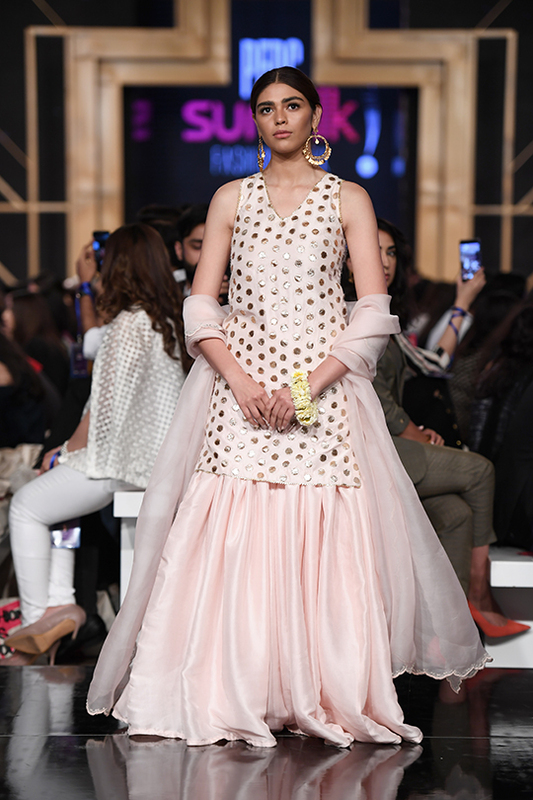 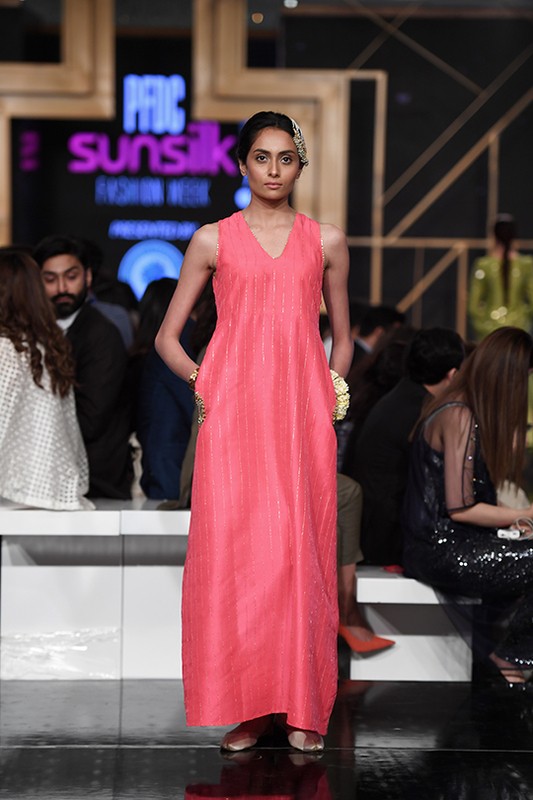 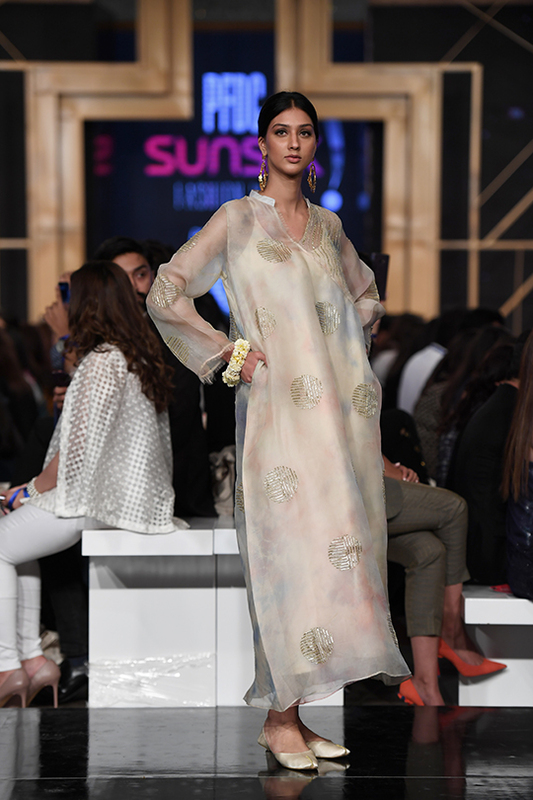 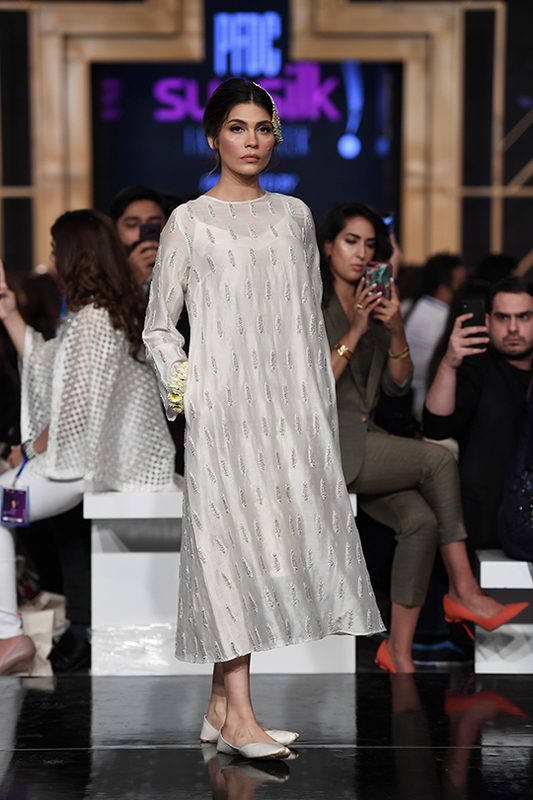 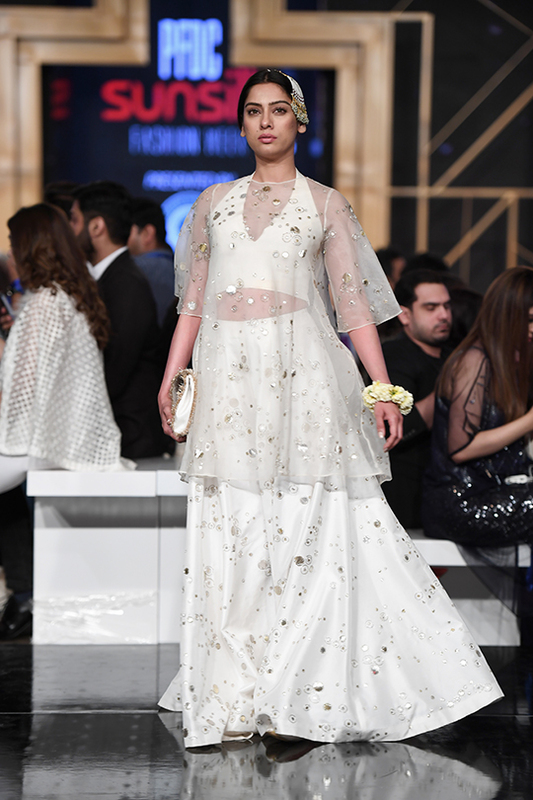 Hussain Rehar along with Yahsir Waheed served up their A game with sophisticated and chic ensembles. 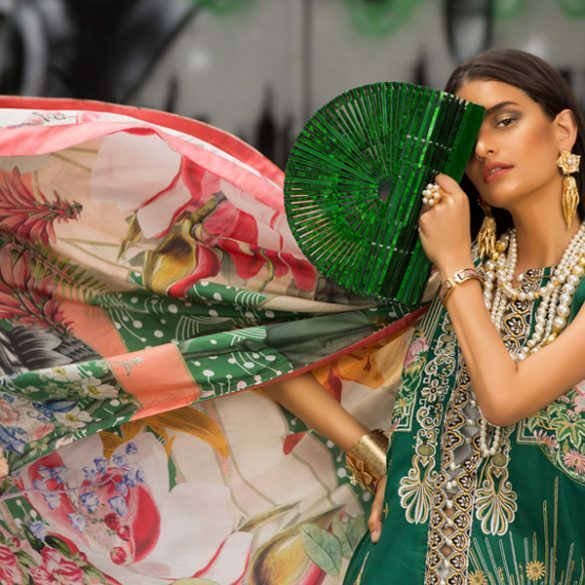 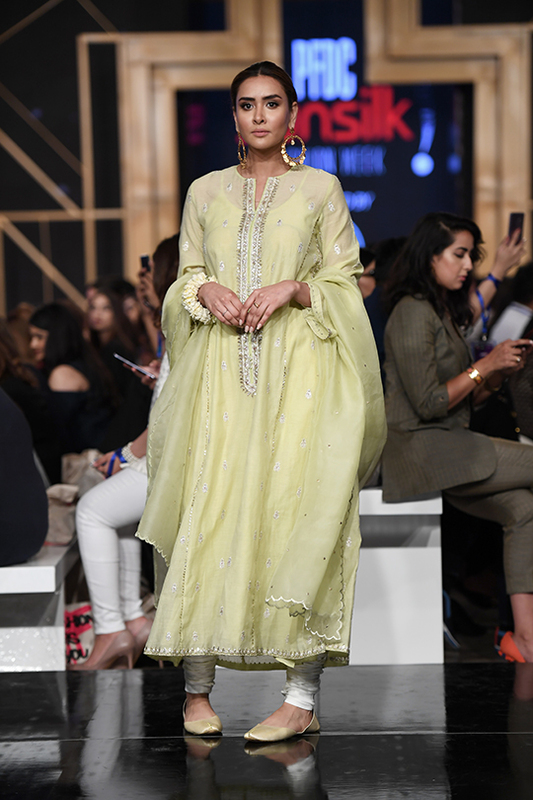 Fahad Hussyn’s lovely couture collection closed the show, featuring Amna Ilyas and Mohsin Abbas Haider from the upcoming film Baaji as his showstoppers. 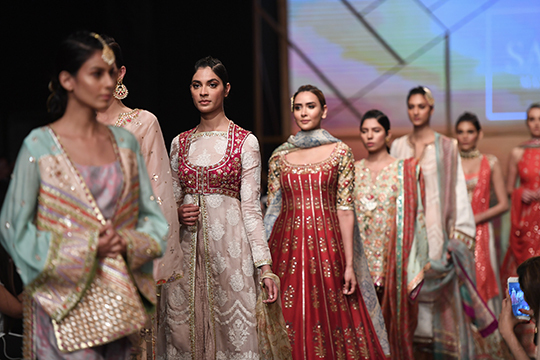 It’s safe to say everyone was kept on the edge of their seats with anticipation of the next best thing to grace the ramp from each of these designers! 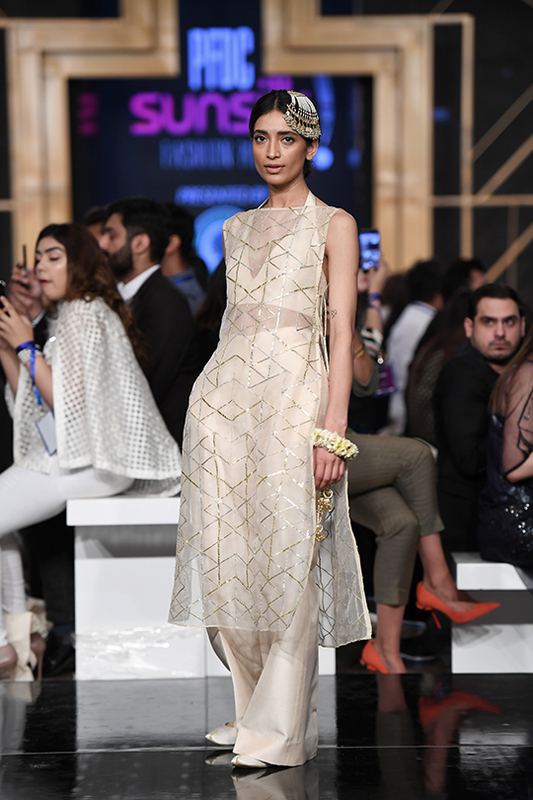 Scroll down to read our break down! 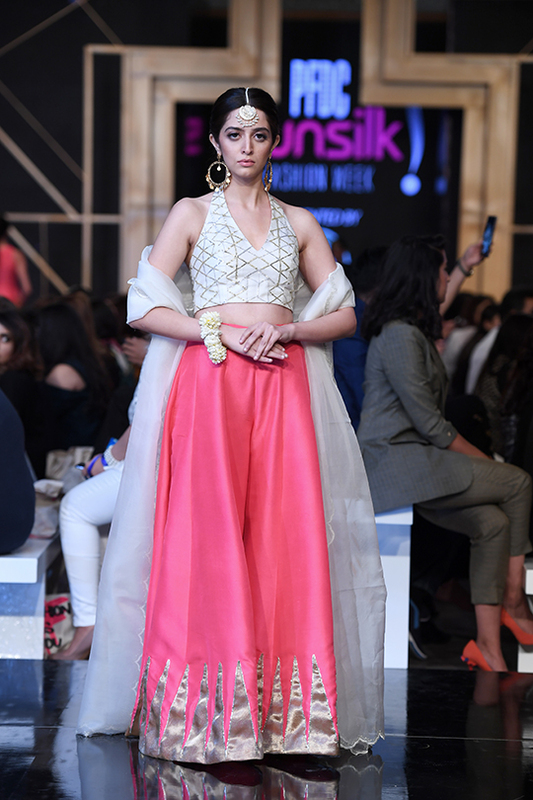 We absolutely loved the sentiment behind this collection. 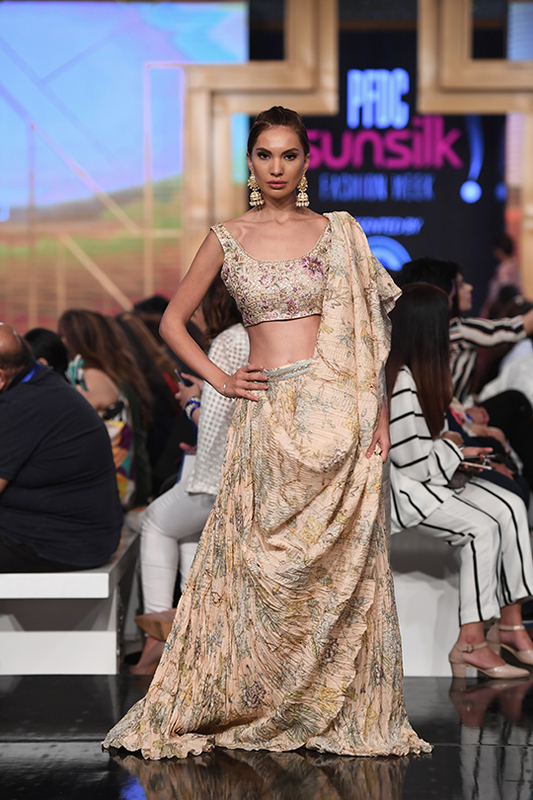 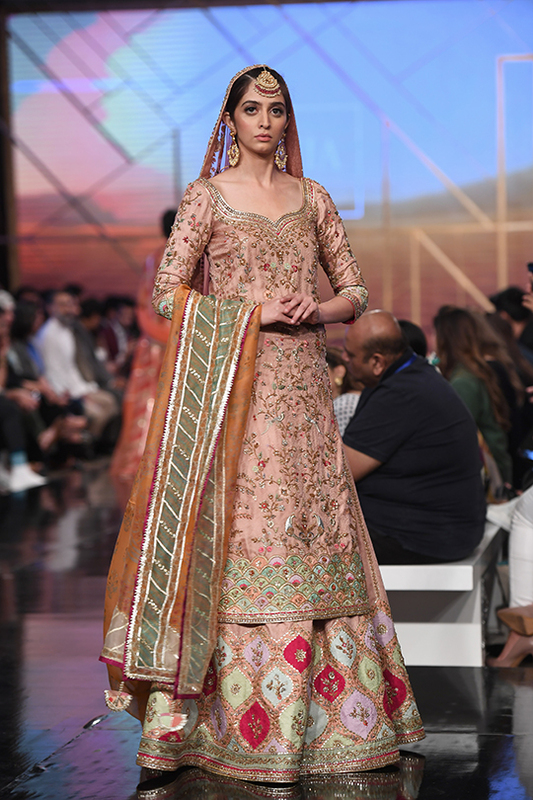 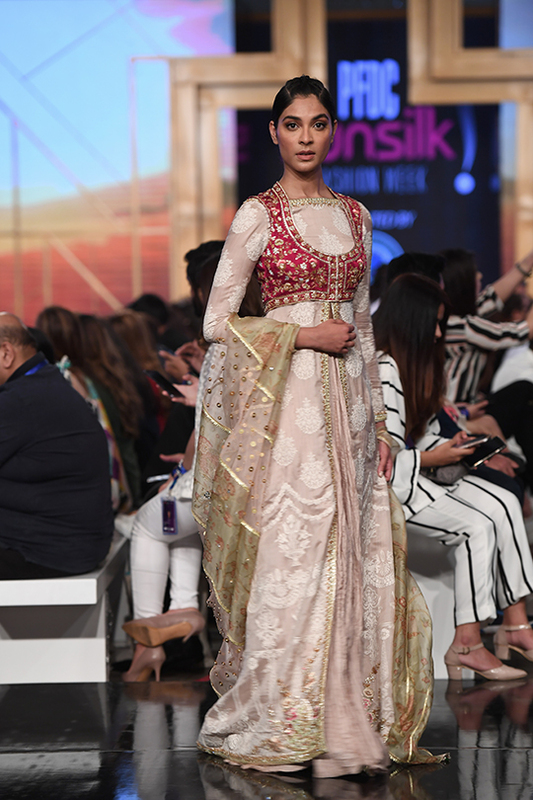 Not only was it an ode to a four hundred year old story, but it was a revival of the Laknavi women’s poise and beauty that allowed the city to be called “The Golden City of the East.” Leave it to Zara Shahjahan to have us transported into a different era, and leave us inspired. 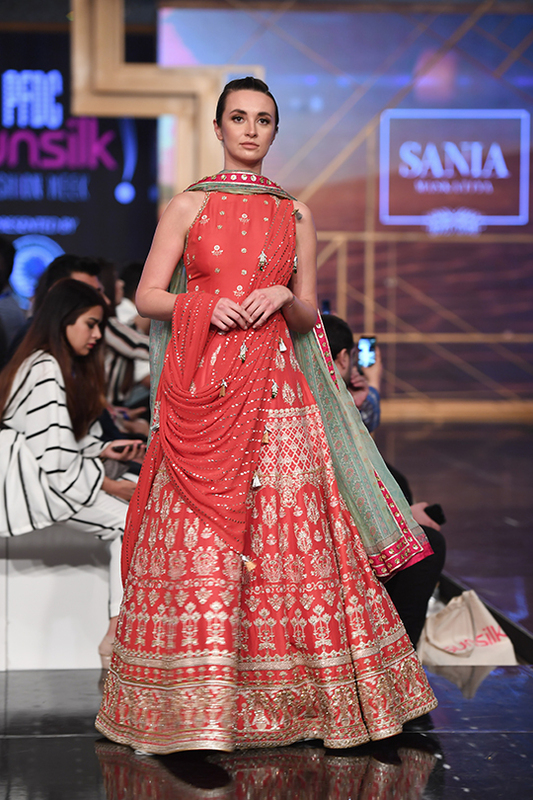 A decorated display of kamdani, gota, chickankari and zardozi work fashioned out of organza and silk fabrics. 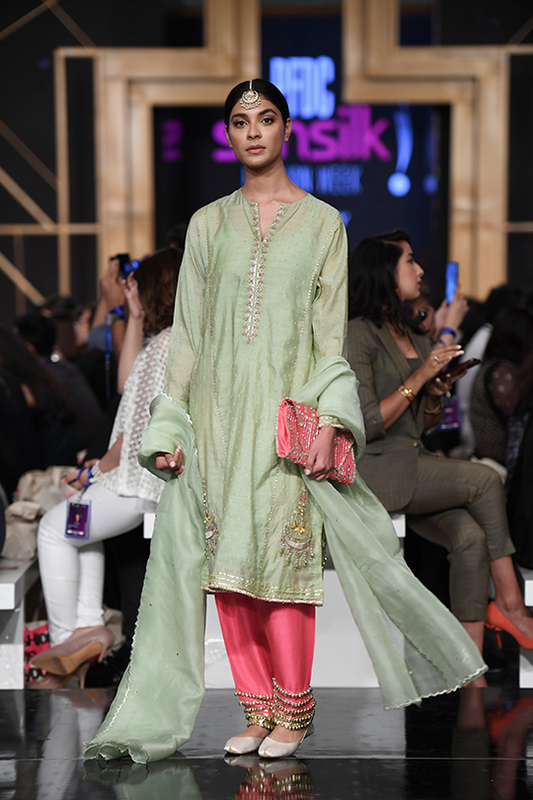 From pastels to bolds, this collection swept everyone off their feet!